It doesn’t get better than this, folks: A stocking stuffer or small gift of absolutely incredible dark chocolate or white chocolate sauce—eating straight from the jar allowed—for just $10.00. Give a jar of each; they’ll love you forever. Somebody’s Mother’s Dessert Sauces, a NIBBLE Top Pick Of The Week, on our Sweet Stocking Stuffers list. Photo by Corey Lugg | THE NIBBLE. WHAT IT IS: Our favorite holiday gift foods. WHY IT’S DIFFERENT: Not your everyday "off the shelf" specialty food store selections. WHY WE LOVE IT: Foods everyone will enjoy. WHERE TO BUY IT: See individual lists. CAPSULE REPORT: Since most people are scrambling for holiday gifts, instead of highlighting just one item this week, we’re sharing all of our holiday gift lists. Mindful of the economy, most of our selections are under $25, and quite a few are under $15. In fact, you can give a food lover something special and delicious for less than $10. It’s not the size of the gift: It’s how yummy and memorable it is. All the items on are list are foods and beverages that have delighted us, and that we’re personally giving as holiday gifts. Just click on the links and do enjoy easy armchair shopping. Need more ideas? Use the red Contact Us box at the top of the page. Find more of our favorite gifts from prior years. Colorado Mountain Wine Jelly. 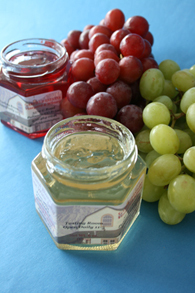 A good wine jelly is a gourmet delight that transcends cream cheese and crackers. 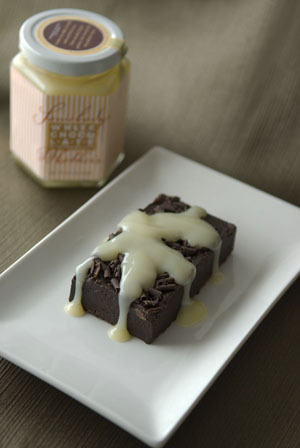 It can go into sauces, on top of desserts, and delight in many other ways. A great stocking stuffer—or give the whole set. Read the review. Comfort Crunch. 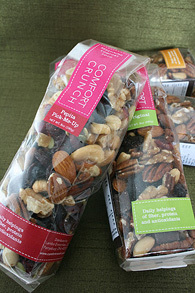 Our favorite gourmet snack mixes: The toffee, dried fruit and nuts hit the spot. They simply taste better than others we’ve tried, and while the bags are resealable, they don’t stay sealed for long. Read the review. Sonoma Farms Infused Olive Oil. 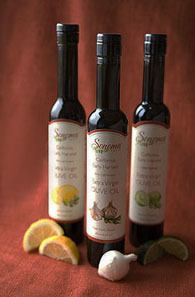 Flavor-infused extra virgin olive oil is both a gourmet treat and a heart-healthy gift. This is only a small selection of the flavors from this top-notch brand, which also has bread dippers. Read the review.